If you ever thought that Porsche was one of the few great car makes that didn't have much to share with Turin, please keep on reading for one of the most amazing stories I will ever be able to tell in this blog. Piero Dusio was born in 1899 in the the small village of Scurzolengo , just few miles outside Asti, quite a lovely drive south west from Turin. Son of a waxed fabrics salesman he managed to put his lovely attitude at work from a very early age. Hard worker, he ended up building his own industry when still very young. He then happily gave up his career as professional football player in Juventus (for a knee injury) to dedicate himself to race cars. Larger than life as he was, he just wasn't satisfied with being Italian Champion in the amateur class of 1934 and first in class at the 1937 Mille Miglia. 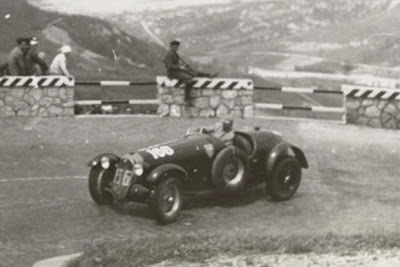 His best result for the following years would have been first overall at the dangerous 1938 Stelvio hillclimb for Scuderia Torino but all this simply still wasn't up to his standards. The young Piero probably just wasn't aware of the fact that he was racing against some of the best drivers that would have ever lived, his friends Piero Taruffi, Achille Varzi and Tazio Nuvolari to name a few. He therefore decided he could have done better that Alfa Romeo with its 2900. In 1944 he founded Compagnia Industriale Sportiva Italiana, better known as Cisitalia, and based it in Corso Peschiera, in his beloved Turin. He hired the likes of Dante Giacosa and Giovanni Savonuzzi to design a simple, inexpensive single-seater racing car which could get Italy racing again. Pre-war racers were slowly being taken out from war-time hideouts, but they were too expensive for a country that just woke up after the WW2 nightmare. They used Giacosa's wartime experience to design an aeronautical spaceframe, held it up with a secret cache of chrome-molybdenum that Dusio and Savonuzzi managed to obtain and held the whole thing up with a little help from Prof. Cicala from Turin's Polytechnic. 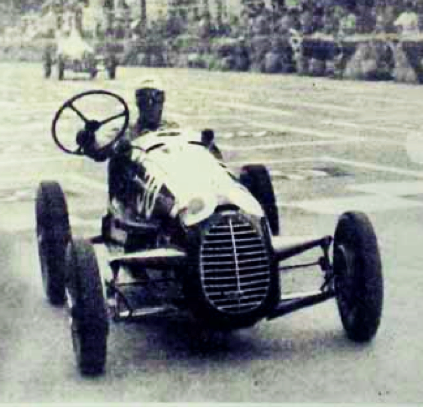 The racer fitted a Fiat engine tuned to 60hp and suspensions from the Topolino (one of Giacosa's pre war design). In 1946, just one year after the war, the D46 was born. Cisitalia produced at least 30 of them, the most famous of all was the one Tazio Nuvolari lapped twice around the circuit of Valentino waving the steering wheel to the jubilant crowd. The quick release system broke during the race and he decided to please the crowd before being disqualified. 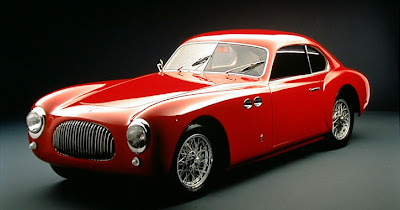 In 1947 Cisitalia would create one of the most beautiful cars of all time. You can find one at the MOMA in New York as example of outstanding design, "sculpture in movement". It's the 202, a tubular frame dressed by a young Pinin Farina. The car would be on and off production with different engines and coach-builds until 1952, but we'll get back to this later on, because Dusio was relying on the sales of the 202 to build his dream: a Grand Prix winner. In order to do this he wanted the engineer whose cars never managed to beat before the war, Ferdinand Porsche. Keep on reading for Part II.